As a successful lifestyle blogger, I have to disclose every time I go to the desert, or a spa, or a beach, or Palm Springs (especially Palm Springs). And I went to the desert. I took some pictures of it so you’d know I was there. This is the road to the desert. This is still the desert. This also the desert, which is at its core a creepy place. I took some selfies in the desert. Don’t be fooled by my tanned body and cheery expression, it was pretty cold there. I am pleased and humbled to report that I have been a successful lifestyle blogger for exactly two years today. In honor of that, I’m going to get real for a second: it’s hard living under a microscope and presenting my most adequate face to the world all the time. Believe it or not, sometimes I take photos that don’t measure up to my middling standards. I think the goal here was to do some kind of post about pajama fashion. I did not do that post. I unfortunately still took this picture. When I worked in an office with a dress code, I used to leave my dress shoes there every night and wore these for my walk to the bus stop, creating this cropped pant/sock/shoe combo. The only reason I did this is because I ordered the wrong size shoes from Amazon and was too lazy to return them, so they were uncomfortable for walking long distances. I wish I’d gotten around to making a post about this, because it is absolute peak adequacy. I’m not sure, but I assume I made a recipe and it wasn’t good? I don’t know what this one is either, but I look very sad and it was probably part of a whole thing that never got written. I don’t think this one was even blog-related, but it is very adequate. This is from the time I planted my own garden and finally started to grow a pepper, immediately before the whole garden died. I tried to paint my toenails and ended up splashing nail polish all over myself and the floor. This was supposed to be an adorably surprised expression but instead I look like the clown mouth at a mini golf course. So even though social media is a place where we often feel like we have to put our best foot forward, just know that sometimes it takes me several tries before I look as flawlessly adequate as you see me on here. Nobody’s perfect, and as it turns out, nobody is even adequate! We all know that injuries can happen: Olympic skiing, car accidents, or basic exercise can cause lasting damage and pain to the body. We think of injuries as big things, but it’s important to remember that even small shifts in muscle movement can have lasting results. And as a successful lifestyle blogger, I refuse to be limited by such audacious means of self-harm. On Friday morning, I woke up with a slight headache and I was feeling stressed out about some work things, so I was holding a lot of tension in my shoulders. I got out of bed to brush my teeth and as I brought the toothbrush to my mouth, I accidentally made a sudden movement. Like magic, a stabbing pain radiated through my upper back and it hurt to turn my head! Now, two whole days later, my neck is still in pain and I keep finding my shoulders creeping up to my ears as though they want to live there. Driving is very uncomfortable. And while the pain is surely temporary, I have bonded with my heating pad and made a lasting enemy of two of my vertebrae. And that can prove to us all that if you’re anxious enough, even small motions can make a big difference. I work from home, and because I don’t have an appropriate desk area, I spend a lot of time lounging on my couch hunched over my laptop. I get to lounge all day! I’m very comfortable! Except that my neck is constantly in pain and I feel like I’m rapidly shrinking. But as a successful lifestyle blogger, I know there’s a solution to every problem and I have no choice but to relentlessly solve it. There are dozens of ergonomic desk solutions out there, so I carefully did no research at all and bought the first thing I found on Amazon: an adjustable laptop desk that will elevate my computer on any surface and improve my posture forever immediately. Armed with this newfound confidence, I assembled my laptop desk and discovered that it is very adjustable. In fact, it can even be used while lying down. As a result, I’ve been curled up in a perfect C-shape for the last week and a half, comfortably typing on an elevated keyboard. Getting out of bed hurts me now, but I’m using an ergonomic tool, so I’m very confident that I’m doing the right thing. My lifestyle is good and nothing is wrong. Cooking a complete, healthy meal can be a way to show yourself that you’re worth the effort. Self care is a must! But after spending three hours making stuffed peppers on a Saturday night, aren’t you sending a smoke signal by way of your greasy stovetop that HI, SOMEONE SHOULD PLEASE COME EAT THIS MEAL WITH ME! Because while making food from scratch is a very good thing to do, how many homemade sauces does it take to say PLEASE TAKE ALL THE NEWS APPS OFF MY PHONE, I CAN’T HANDLE ALL THE SCARY ALERTS? So no matter what else is happening in your life, you too can finish out 2017 by learning how to thicken a pasta sauce. I did, and it was much easier than admitting that I HAVE MADE NO SIGNIFICANT CAREER PROGRESS THIS YEAR AND THAT PROBABLY WON’T CHANGE BY THE TIME I GO HOME FOR CHRISTMAS. Melatonin Substitute: Reading a Book! As all my loyal fans know, Tylenol PM is my favorite drug. What can I say? I’m a successful lifestyle blogger but a bad sleeper! And when I’m not taking Tylenol PM to pass out, I’m taking melatonin to gently drift into a peaceful slumber. This week, though, I’ve been reading before bed. That’s right, I’ve been putting away my computer, placing my phone two whole feet away from my body, and reading words from a parcel of papers. I get tired within minutes! I don’t see blue spots when I close my eyes and feel slightly wired until 2am! I get the same drowsy feeling as I do with melatonin, but without all the…hormones and probably some other chemicals and whatever else is in there? Life Hack: What’s the Point? As a successful lifestyle blogger, it’s important for me to keep my spirits up to combat all the ways the world is horrible. But you know what’s easier? Just skipping it all and succumbing to the feeling that my limbs are growing a little too heavy to hold up. Getting out of bed is really hard in the face of constant reminders that the world is full of endless suffering, and that our government is actively making it worse. So I’m using my platform as a lifestyle blogger to tell you that you have to get out of bed anyway. Go for a run! Make a smoothie! Or you can stay there and pretend you’re living in a cave like an early human, and that maybe we can rewind and start this whole “modern history” thing over and stop climate change before it’s already out of control. One of the most important tenets of lifestyle blogging is that you should feel great all the time, no matter what horrible thing your president just said to hurricane survivors in Puerto Rico. Your circumstances are still in your control – unless a nuclear bomb falls from the sky because of a twitter feud – so you have no excuse not to meditate. I wanted to tell you how to keep taking care of yourself while the world is rotting from its core, but so far today I’ve eaten a bag of Cheeto Puffs and a Nestle Tollhouse ice cream cookiewich that I bought from a liquor store last night, so maybe don’t take my advice? I don’t know. I’m going back to bed. As a successful lifestyle blogger, I know that individuality is very important. Tattoos are a great way to tell the world how unique you are and turn your body into a work of art! But tattoos can also be expensive, and they require you to ask the question “Is there something I’d like to put on my body forEVER?” which triggers an existential spiral in even the most adequate among us. Yesterday, I was roasting some tomatillos on the bottom rack of the oven. When I reached in to take them out, the back of my hand brushed against the rack and gave me a line-shaped burn. 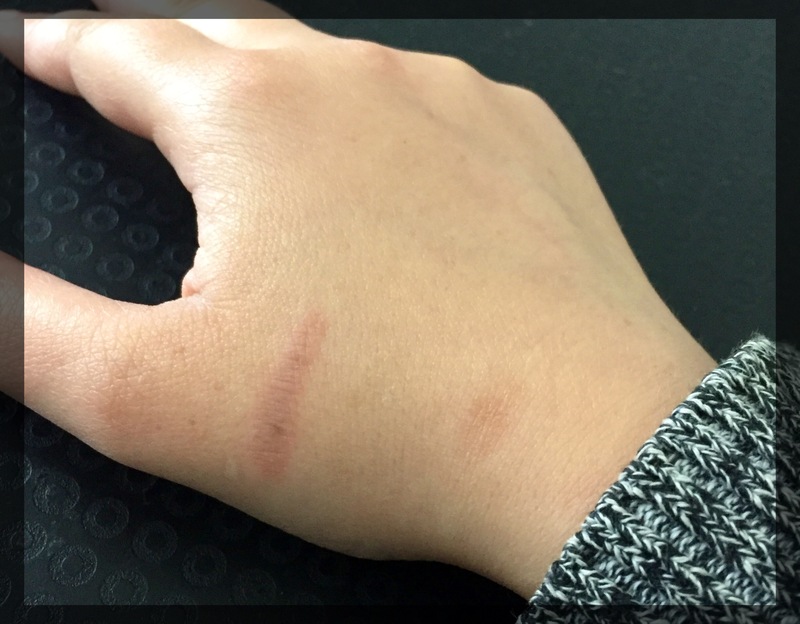 It was only about an inch away from the toaster oven burn I got two years ago at an Air Bnb, which left a small smudge of a scar near my wrist. I had two choices: accept that I am someone who should own those potholders that look like big mittens, or embrace my fate. And, because true lifestyle success is marked by acceptance of the inevitable, I choose to treat these burns and scars as an invitation to have a tattoo that I never wanted. What should I tell people this tattoo is? Tell me in the comments! I Unboxed a Complete Cookie! As a successful lifestyle blogger, I’m always trying out new recipes that will enrich my life. As an adequate lifestyle blogger, I make sure not to verify that my recipes are safe or possible. Last week, I wanted to make sweet potato fries, so I assumed I should cut up a sweet potato and put it in the oven. Slicing raw sweet potatoes is harder than anticipated. They’re dense and alarmingly solid. But did I give up, pop them in the oven for a few minutes, and slice them afterwards? Absolutely not. I kept going. And I sliced all the way through two of them without seeing any blood at all! The knife got stuck in the potato over and over again, but I never gave up. Sure, I stabbed myself a bunch of times, but it never broke the skin.